When it comes to moving in New Jersey and the Tri-State area, Optimum Moving makes sure that you do not have to tackle all the moving headaches on your own. We specialize in both residential moving and commercial moving in Linwood, and we can help you pack, lift, move, and secure all your belongings to make sure that they arrive at your destination safely. Linwood is situated in Atlantic County, and is nine miles away from Atlantic City. This suburban community is often known for its sprawling, expensive homes. Primarily a residential area, many of its residents are employed in white collar jobs and are relatively affluent. It is also home to the Linwood Convalescent Center and the Linwood Arboretum. Optimum Moving has served many families and businesses across New Jersey, including those in Linwood. 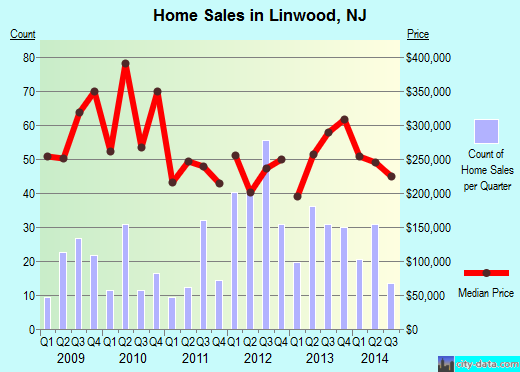 The average house in Linwood costs about $296,500 and usually features at least three bedrooms. Residents are known to stay in this city for long time durations, with 72% of its 7,073 residents living in the same house for five years on average. Property owners live in their houses or condos for an average of 17 years here while renters (about 14% of the entire population) live in for an average of two years. Besides our affordable moving services, we know the NJ local areas very well so you can be assured of a seamless move. At Optimum Moving, we make use of professional moving equipment such as containers for big scale moves and dollies to secure big-sized items and even when you need to move high-worth items, you can trust our proven track record to help you move your belongings without hassle. Our movers stay updated with the latest moving innovations and are trained to take care of your needs. Try us today and let us help you make a successful move in Linwood! Want to learn more about a Linwood Move?